The history of Relief Society is recorded in words and numbers, but the heritage is passed heart to heart. I am grateful to be with you tonight. 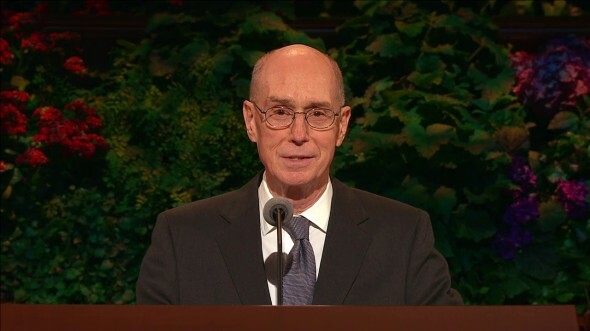 I express to you the love and the gratitude of President Monson and President Uchtdorf. From its founding in 1842, the Relief Society has been blessed by the careful and loving oversight of the prophet of God. At the start in Nauvoo, Joseph Smith instructed the leaders and the assembled members. Knowing that you have that glorious history, I felt the weight of this invitation from President Monson to speak to you. In one of those early meetings of the society, the Prophet Joseph Smith surprised Bishop Newel K. Whitney by asking him to speak in his place. 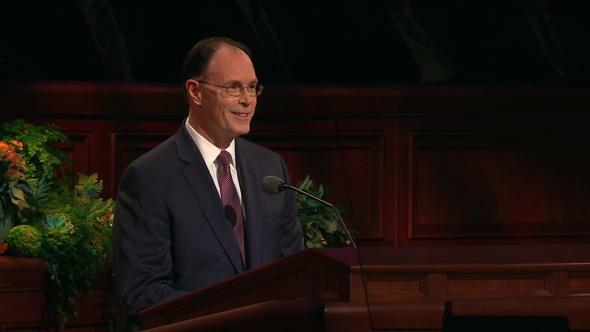 Bishop Whitney said that he had arrived in happy anticipation of being taught by the Prophet. I understand his feelings of disappointment—and perhaps yours. 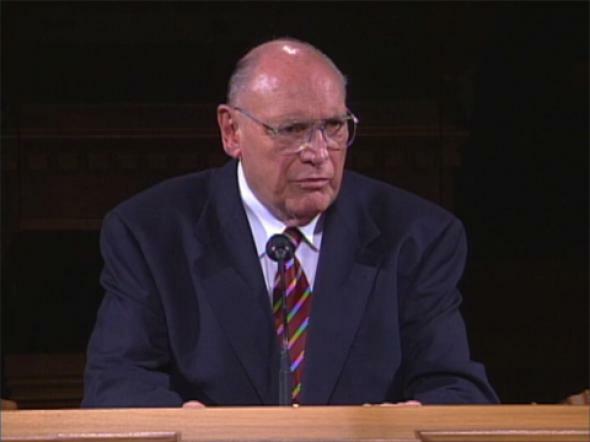 And so I asked President Monson as I was preparing for this hour what he felt would be most helpful for you to hear. What he said confirmed the impressions which had already come as I studied and prayed. 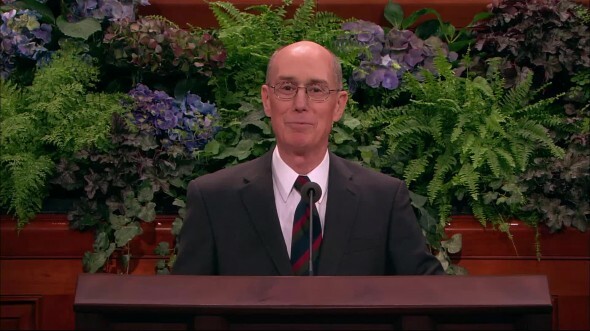 I will speak to you tonight of the great legacy those who went before you in the Relief Society have passed on to you. The part of the foundation they laid for you which seems to me most important and persistent is that charity is at the heart of the society and is to come into the heart, to be part of the very nature, of every member. Charity meant to them far more than a feeling of benevolence. Charity is born of faith in the Lord Jesus Christ and is an effect of His Atonement working in the hearts of the members. There are many benevolent groups of women who do great good. There are many who have overpowering feelings of sympathy for the unfortunate, the sick, and the needy. But this organization is unique and has been from its start. In the foundation they created, those great sisters set “charity never faileth”1 at the center. 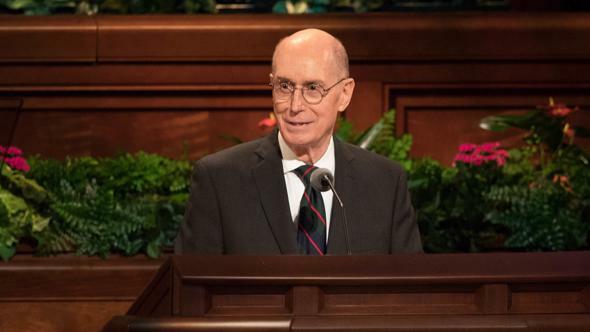 It served them at the beginning, it served them in the great period that followed, it serves them now in a new time, and it will serve the Relief Society in all the periods ahead. This society is composed of women whose feelings of charity spring from hearts changed by qualifying for and by keeping covenants offered only in the Lord’s true Church. Their feelings of charity come from Him through His Atonement. Their acts of charity are guided by His example—and come out of gratitude for His infinite gift of mercy—and by the Holy Spirit, which He sends to accompany His servants on their missions of mercy. Because of that, they have done and are able to do uncommon things for others and to find joy even when their own unmet needs are great. The history of the Relief Society is filled with accounts of such remarkable selfless service. In the terrible days of persecution and deprivation as the faithful moved from Ohio to Missouri to Illinois and then across the deserts going west, the sisters in their poverty and sorrows cared for others. You would weep as I did if I now read to you some of the accounts in your history. You would be touched by their generosity but even more by your recognition of the faith which lifted and sustained them. The early members of Relief Society did not enter such an idyllic time. But the love of God dwelt in their hearts. So it—and they—endured during the journey west and in the years that followed. Because of hard circumstances, for nearly four decades the Relief Society ceased to function as a Churchwide organization. But in 1868 Brigham Young called Eliza R. Snow to assist bishops in organizing Relief Societies. She was called as the second general president of the Relief Society in 1880. The record of Relief Society shows that when the leaders approached the sisters across the Church to begin again formal Relief Society work, they found that charity in their hearts was undiminished. They had continued to reach out in mercy to those in need. For those who stayed faithful to their covenants, the gift of charity, the pure love of Christ, had endured. It was still theirs. In the years that followed, the Relief Society grew in numbers and in power to serve those in need. Under the leadership of women of great vision and capacity, the Relief Society took the lead in starting charitable services which did not exist on the frontier for those in need. They created a small hospital. They supported women in going to the East to get medical training to staff it. That was the beginning of one of the great hospital systems in the United States. 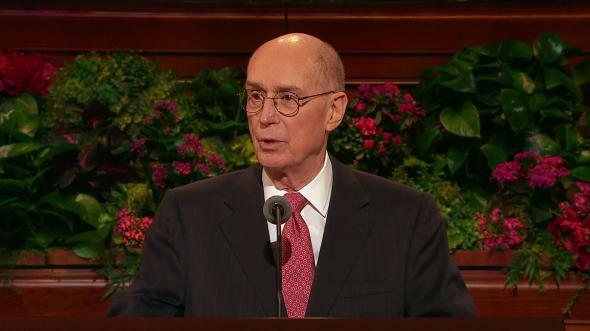 They began programs which became over the years the worldwide LDS Family Services programs. They created a grain storage system so effective that they could respond to a request for help from the federal government in a time of war and crisis. They began what became the Primary and what became the organization for young women in the Church. They created their own magazine for women. They became one of the largest organizations for women in the world. They were also in the leadership of organizations for women in the United States. The Relief Society was at the heart of the beginning of the Church’s power to give humanitarian aid across the world. Leaders of nations, when they visit Utah, express awe and admiration for what the Church is doing for the poor and the victims of war and natural disaster across the world. Those remarkable gifts to the children of God are part of the enduring legacy of Relief Society. “And he said unto the first: Go ye and labor in the field, and in the first hour I will come unto you, and ye shall behold the joy of my countenance. “And he said unto the second: Go ye also into the field, and in the second hour I will visit you with the joy of my countenance. “And unto the fourth, and so on unto the twelfth. It is clear from the record they left that those women of the first period of Relief Society felt the joy the Lord promised. He was in the work with them. He prospered it, and they felt joy and light. But the Prophet Joseph foresaw that another season would follow. He saw the grand works they would build in the first season. But he also said that they were to serve, bless, and care for those close to them, known personally by them. After a joyful time of service for the Relief Society, the Lord led them into another season, away from the fields they had planted so magnificently. It was hard for the faithful men who inherited, for instance, the hospital system they had expanded on the foundation the Relief Society had built. The Lord, through His prophets, made clear that His priesthood servants could hand the trust of maintaining and building that powerful instrument for good to others. And so the Church gave away its marvelous hospital system. I know and admire the men who had felt the joy of service in that hospital system. And I saw their recognition that the joy had come from being at work with the Lord, not from their own accomplishments. So they smiled and gave away gladly what they had built. They had faith that the Lord saw a greater need for their service elsewhere, in other fields in another season. A precious part of your Relief Society heritage is that same faith in the hearts of the leaders and the members of the Relief Society. The Lord had known where their great talents would be needed in the next season and where they would find an even greater joy than in the wonderful, benevolent enterprises they had begun and built. The Church grew larger and reached across the world. The services the Relief Society had created began to require massive resources and constant oversight in an expanding Church and a world with increasing turmoil. Running large and centralized programs would have lessened the opportunity of Relief Society leaders and members to feel the joy of serving individuals for and with the Lord. For a new season, the Lord had their opportunity already in place. The only system which could provide succor and comfort across a church so large in a world so varied would be through individual servants near the people in need. The Lord had seen that coming from the beginning of Relief Society. He set a pattern in place. Two Relief Society sisters accept their assignment to visit another as a call from the Lord. That was true from the start. Relief Society officers organized members who they knew had faith to give compassionate service when it was beyond the power of two assigned visiting teachers. It was always close to home, among acquaintances. 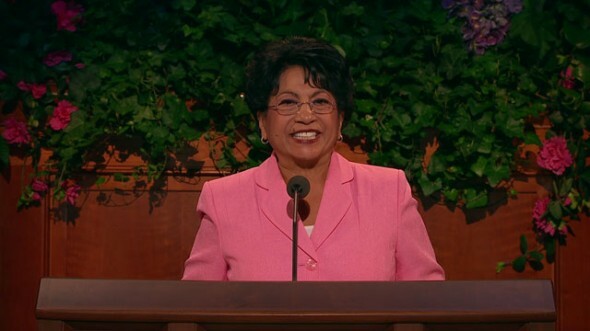 Members teach the gospel in local meetings and bear testimony of the Savior and of the Restoration. Daughters watch over mothers. Mothers listen to, teach, and care for daughters. The members of Relief Society have always been trusted by local priesthood shepherds. 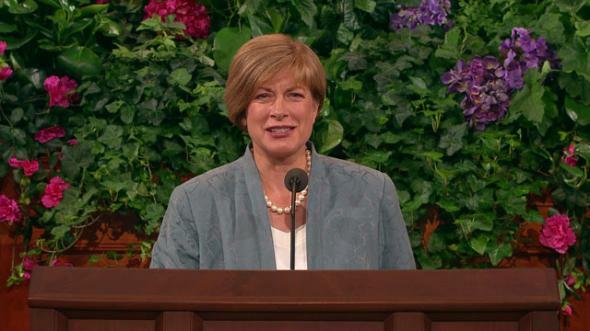 Every bishop and every branch president has a Relief Society president to depend upon. She has visiting teachers, who know the trials and the needs of every sister. She can, through them, know the hearts of individuals and families. She can meet needs and help the bishop in his call to nurture individuals and families. A wonderful part of the heritage of Relief Society is evident in the way the priesthood has always shown respect to and received it from the Relief Society in turn. I have seen it as you have. 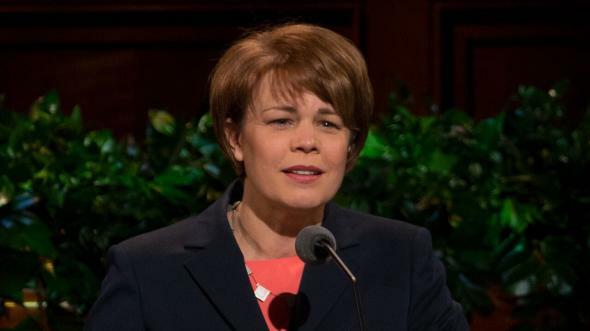 My family’s bishop said to me years ago, with a smile, “Why is it that when I go to someone in the ward in need, your wife always seems to have been there ahead of me?” Every bishop and branch president with any experience at all has felt the gentle prod of inspired example from the sisters of the Relief Society. They help us remember that for all, both women and men, there will be no salvation without compassionate service. The reason President Romney smiled, if I remember when he did it, was he said he did really want to have his sins remitted. And so he thought he would join the sisters in every act of compassionate service he could. Now it’s time to talk about what you must do to pass this marvelous and sacred legacy of Relief Society on to those who will follow you. It will take small and simple things. Just remember that the legacy is passed from heart to heart. Charity, the pure love of Christ, is part of the mighty change of heart which the Lord promises to His faithful disciples. So it is not hard to see what simple things you can and must do to pass the legacy along. For instance, each time you and your companion prepare to go visiting teaching, you just need to remember what success will be. It will be more than getting in the door. It will be more than giving a message. It will be more than asking how you can help. Success will come perhaps only after many visits. And you may not in this world see the evidence that you have succeeded. But you can feel by the Spirit if you are on the way. I talked with a Relief Society member about a visit she had made. It was to a woman who would soon lose her husband suddenly and tragically. In recent years the woman had only intermittent contact with Relief Society. The visitor prepared by stopping at a shop to buy flowers. It was a season when the tulips were stacked for sale in many colors. She chose one color, her favorite, but then felt impressed to try another. She didn’t know why she selected yellow, but she did. When she presented the yellow tulips at the door, the woman smiled and said, “Come. See my backyard garden.” It was filled with yellow tulips in full bloom. The woman said, “I was just wondering if I should cut some for the house. But now I can leave them and enjoy them a little longer in my garden because you brought me these.” They chatted pleasantly as if they were old friends. From that impression to bring some flowers and to choose yellow tulips, that visiting teacher had evidence that she was on the Lord’s errand. When she told me, I could hear the joy in her voice. When she spoke with me, she didn’t know what the widow felt after the visit. But if the widow felt that God loved her and that He had sent an angel to her, the visiting teacher had helped her move down the road to success in the Lord’s eyes. That visitor may verify success from her faithful effort only in the world to come. You pass the heritage along as you help others receive the gift of charity in their hearts. They will then be able to pass it to others. The history of Relief Society is recorded in words and numbers, but the heritage is passed heart to heart. That is why families are such beneficiaries of Relief Society. My mother left me a little pin with the words “Charity Never Faileth” on it. Sister Beck gave me this small one for my lapel. The enduring legacy my mother left her family was more than the pin. It was her love and the Lord’s love, which I saw and felt in the simple things she did, giving compassion for Him. She was a Relief Society woman. My mother had no daughters, but my wife has passed the heritage to our two daughters. And they will keep it alive in the hearts of others. It will endure because charity never faileth. I testify that charity is the pure love of Christ. He lives. As we serve others with Him, we feel His joy. By His Atonement He made it possible for us to plead for and receive the gift of charity. I know that the Father lives and answers our prayers. You are members of a society founded and set on its course by the Prophet of the Restoration, Joseph Smith. 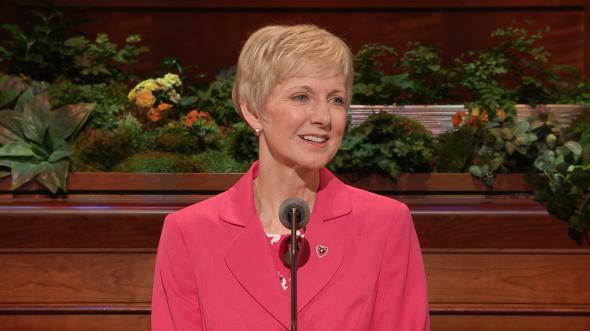 Sister Beck and her counselors were called through inspiration from God, which was given to a living prophet. I know that is true. You have a glorious heritage. I pray to God that He will inspire you to preserve it and pass it on as a legacy to bless and bring joy to those in the generations and the seasons to come. In the sacred name of Jesus Christ, whom we serve, amen. 1 Corinthians 13:8; Moroni 7:46. See Relief Society, Minute Book Mar. 1842–Mar. 1844, entry for Apr. 28, 1842, Church History Library, Salt Lake City, 39. Lucy Mack Smith, in Relief Society, Minute Book Mar. 1842–Mar. 1844, entry for Mar. 24, 1842, 18–19.